This is about a month worth of freebies and samples. This is everything that I received in my mailbox March 1 through March 25th. A couple of them are what I call prize mail since I got them from an instant win game but most are just samples I signed up for. If there are any still available, it will be noted below with the direct link or to my original blog post if it requires any further details. 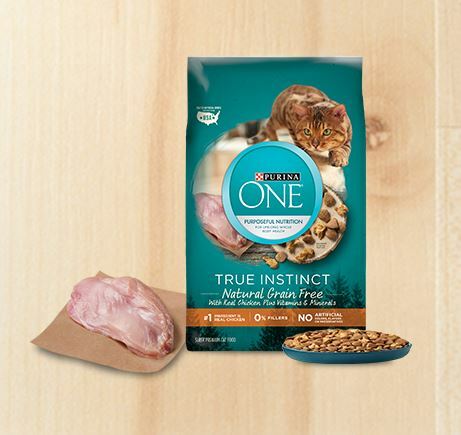 Cat Chow FREE product coupon up to $15.99. Still Available – Sign up for Purina Cat Chow Perks and do simple tasks such as sharing via multiple social media sites, reading articles, watching videos and other easy activities to earn points. Redeem your points for free product coupons or other things like Cat Chow merchandise. 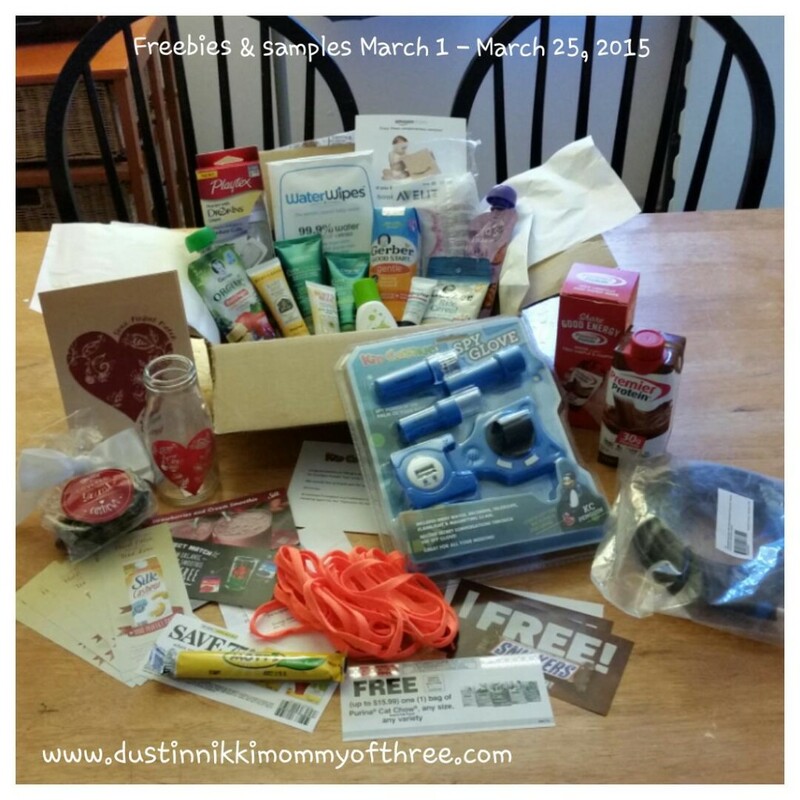 Amazon Mom Free Welcome Box – I am not positive but I think this offer is now over. If you have Amazon Prime or were able to get a free 30 day trial, you could sign up for AmazonMom. If it was your first time signing up for AmazonMom, you got a FREE box of baby and mom samples. Follow the link to my original blog post for more details. 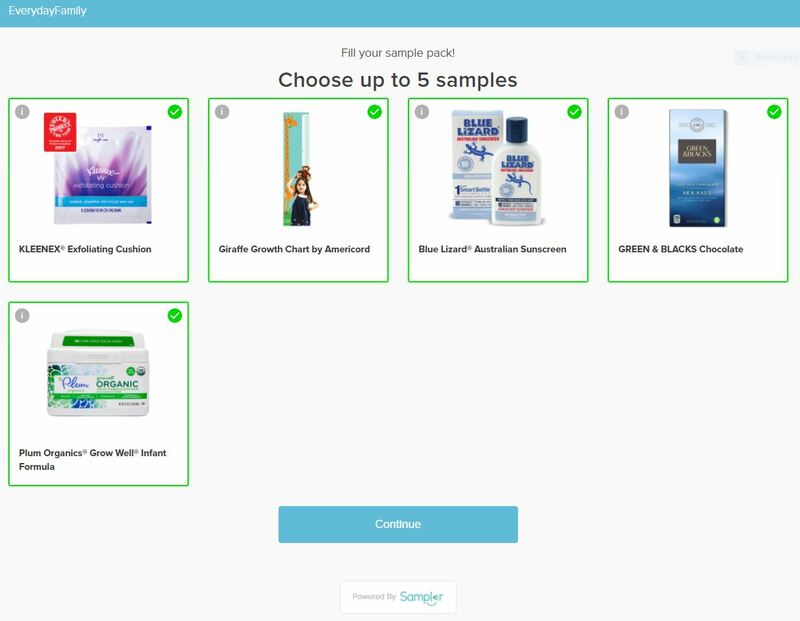 Be sure to check in often as I like to post offers, samples, and freebies when I see them. Also be sure to follow me via my social media because they always go out my social sites as well. The more ways you follow, the better chance of not missing anything. Be sure to check out and enter our current Dial Body Wash giveaway located on the right sidebar. I also have some more product reviews and blog giveaways coming up so stay tuned.